The last part of my route home from work is I-95 North (from exit 15 to exit 33). Around Bridgeport (exit 26/27) the highway goes to 4 lanes – even 5 lanes in spots. I think I learned how to survive on a motorcycle here – it goes from high speed to stopped, lane changes from any direction, a few aggressive drivers – on a motorcycle you need to be a really wide-awake driver, or your name shows up in the newspaper. When the wind blows the bike around, I like feeling the power of mother nature – it reminds you who is in charge. It’s fun, and only maybe once out of a 100 times, I feel like I am in danger. Around exit 29, you can get the bad wind – the kind that goes from side to side. After I go over the bridge in Bridgeport, I always instinctively brace myself – I even do it when I am in my car. When I got home I found myself looking online at used bikes that I thought would ride better than mine. I want my next bike to have at least some of these: ABS, fuel injection, shaft drive, easy to work on, less than $4,000, and be interesting and sound good (so I’m excluding singles and most vertical twins for now). 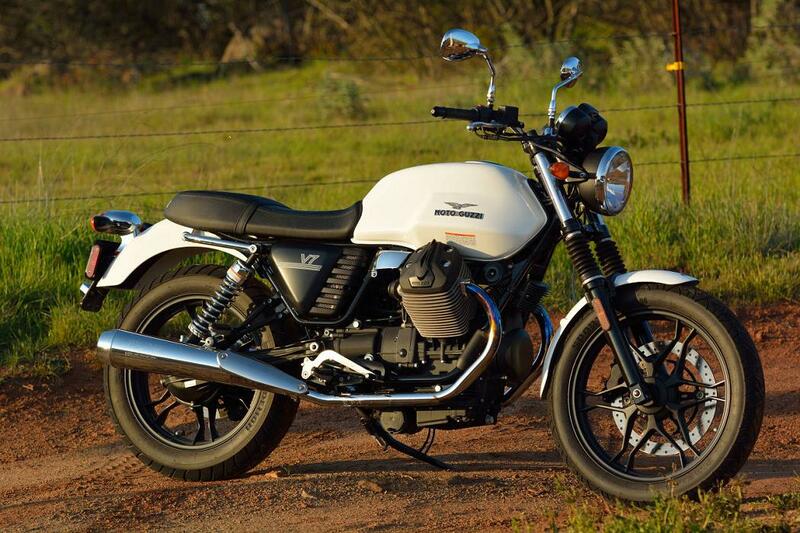 In order, my list was: 1) later model Moto Guzzi 750 Stone in white, 2) K75, 3) Triumph T100. By the end of the weekend, I had come to my senses and realized I already had a great bike. The Virago 250 has a weak rear brake – I call it “poor man’s ABS” . I recently put on new rear brake shoes, and last Thursday I heard a chirp on a hard stop on a bridge. It is the first time I ever locked the rear wheel, and it was just a quick chirp – the kind that cars with ABS sometimes make on sudden stops. Cars with ABS do that. The Virago 250 has one fairly simple carburetor – mine has always started easily and has had no issues with performance when cold (or hot). For me the single carburetor has been more trouble-free than twin carb bikes I have owned. 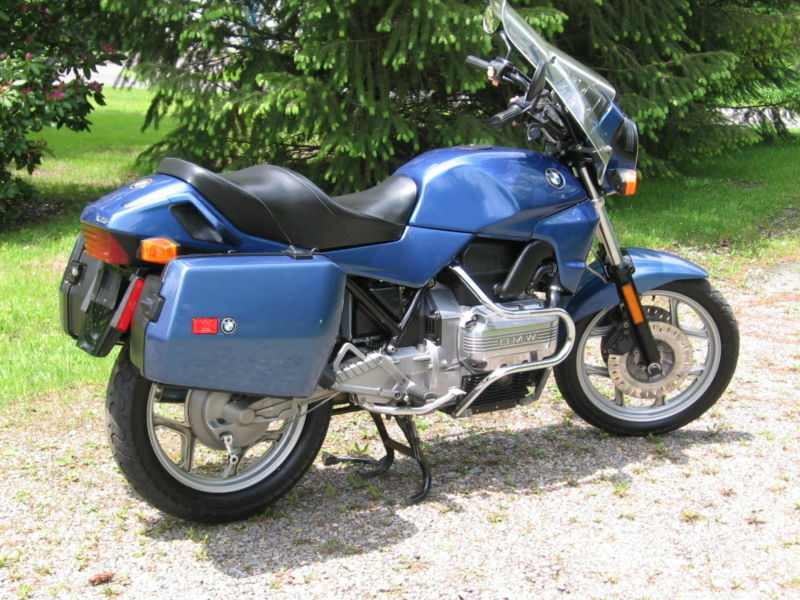 The Virago 250 has chain drive – I have a cheap o-ring chain – it has been problem free and seldom requires adjustment. It would be very hard to find a motorcycle easier to work on than a Virago 250. The sound a Virago 250 makes is hypnotic/unbelievably cool. For the bumps and ruts near I-95 exits 30 to 32, I need to slow down and try harder to avoid hitting them. I can make my bike ride better by not hitting the bumps. This entry was posted in Motorcycles and tagged V-Star 250, V-Twin, Virago 250, Virago 250 on highway. Bookmark the permalink. Have you seen “Chasing Mavericks”. Its great movie about a kid and a mission to ride these mystery mountain waves. 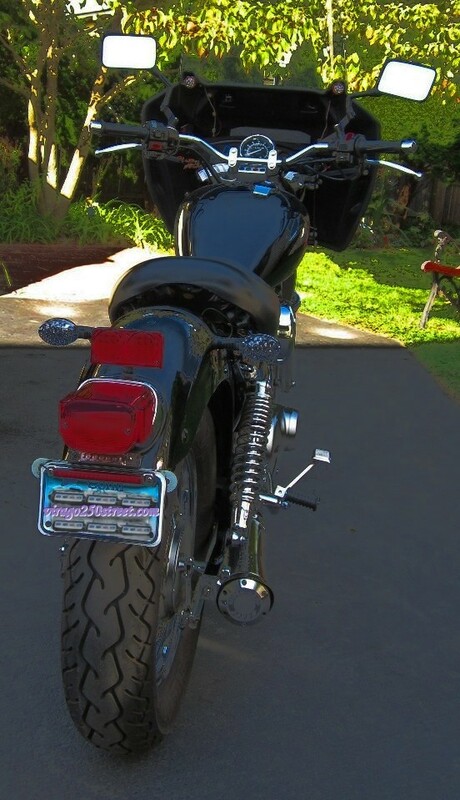 Anyway my life is always focused on finding that perfect bike but I not once have I ever disliked a looked at. The conclusion is that I am happy with the bike I have but I just love to look at other bikes in hopes of finding one that is better. The problem is that you can always find a better bike but you can always go broke and be living on the Street. Oh well there are worst addictions then consistently craving motorcycles.